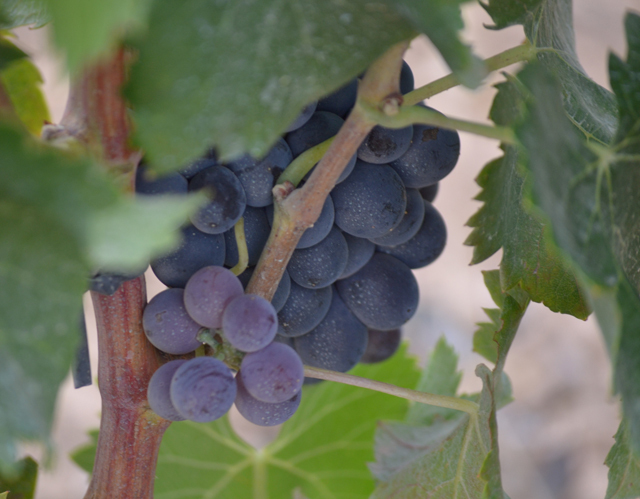 Cabernet Franc | Catalan wine in a nutshell! I wouldn’t normally write about this kind of wine. Pricy, from a huge producer and in my very humble opinion a very pretentious wine…….., but! If offered and I don’t have to pay, I’d have to say, I would gladly drink it, enjoy it and why not mention it!?! Is it really that pretentious? Would I pay the dough? Honestly, both yes and no to both questions. As you all know by now, my style is more to the, if not cheap, at least very price worthy, accessible and from a small producer if possible. If you get a chance to try this wine, what ever you do, don’t say no! In its style it is so very French and that alone would make me say no! But…….., again, what a useful word that is! Look beyond the fact that it is created from the best Cabernet Sauvignon, Cabernet Franc and Merlot grapes from the small vineyards of Torres in Agulladolç, which is also home to a beautiful 11th century Romanesque hermitage, and as such makes it a Single Estate wine. After 18 months in new French oak barrels, and thanks to the great quality of the tannins in this wine is has so much more than just the French blend to offer. Elevated and huge, the amount of sun and fruit in this wine is something that was achieved in Catalonia and not in France. Now, I am just waiting for a Francofile to tell me that I must be joking, in all aspects! A beauty of a wine, intense cherry color. The nose is filled with black plum, aromatic coffee, spices, cocoa, sandalwood and a mix of moist grass and a highly concentrated fruit coulis. The palate is huge but perfectly balanced, with rich flavors of tobacco, blackberry and cassis. A complex, round and elegant mouth. The blend is straight from Bordeaux but everything else screams Catalonia. Pure, long, smooth and easy in terms of tannic bite, with good aging potential. Could easily stand another 6 – 8 years in the bottle. Mercy, Mercy Mercy……..
Nice and intense cherry colour with violet edges. High, clean and bright. Very intense. The ripe red fruit and floral aromas (violets, roses) are the main characters. When opened, notes as cocoa, coffee, spices follow. Elegant roasted herbal aromas. A wine with a powerful and elegant character, very complex. Friendly input and silky. Tannins with some astringency, which will be rounded of with time. Peculiar by definition, this “Standalone” Cabernet Franc leaves the reminiscent of its variety and floral notes, combining with details of very ripe fruit due to the Mediterranean sun. A unique,and excellent where nobody will remain indifferent. With a fantastic development inside the bottle for the next 4 to 5 years, this wine is made for those wishing to learn about new frontiers. It is a wine of intense nature, that will shine bright in your glass and will accompany you in your most special moments. The cellar at hand is world renowned for their vinegars, they are not as known for their wines but they are making progress. I knew about this winery way before I moved to the region. During my youth I worked at the Noble Prize banquet in Stockholm and the chefs there only use vinegars from Avgvstvs Forvm, when preparing the menu for 1,500 guests! It may be the best vinegar for all I know, but this is after all, a blog about wines, so wine it is! If you, however, should have a chance to try the vinegar they make, be sure not to miss such an opportunity! It is delicious! Historically Agustus Forum was located in Rome and no, it hasn’t moved to Catalonia. 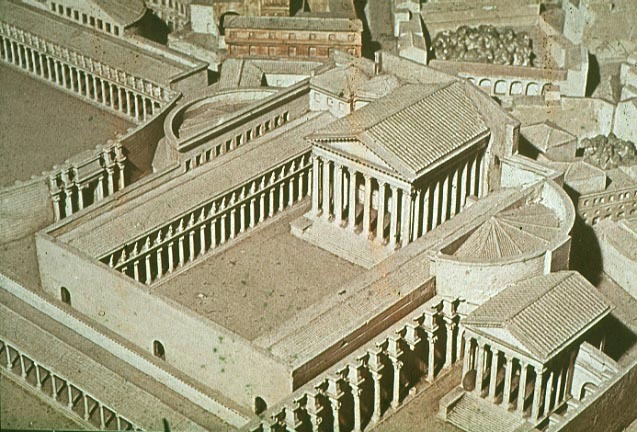 The Forum of Augustus was built to both house a temple honoring Mars, and to provide another space for legal proceedings, as the Roman Forum was very crowded. Before battle, military generals set off from the Temple of Mars, after attending a commencement ceremony. Other ceremonies took place in the temple including the assumption of the toga virilis by young men. The Senate met at the Temple when discussing war and the victorious generals dedicated their spoils from their triumphs to Mars at the altar. 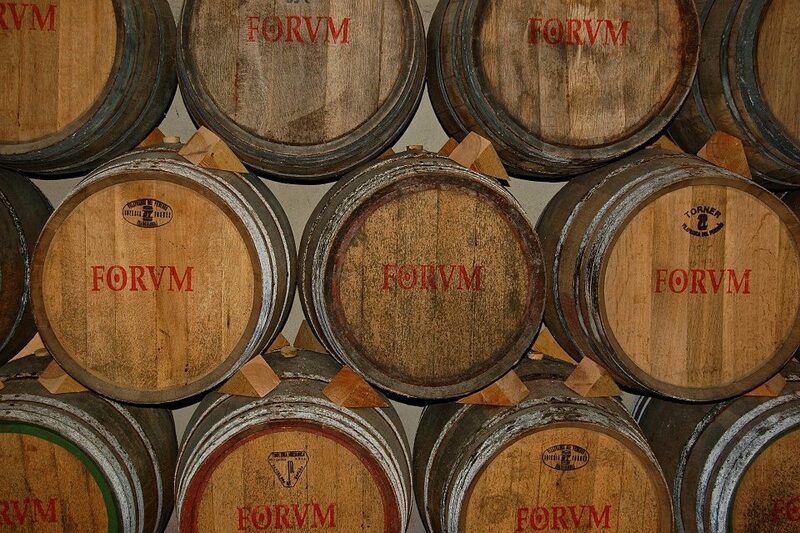 The Forvm here in Penedes is at times crowded but there are no legal proceedings going on, just wine and vinegar making! The name comes from the owners wanting to give some kind of homage to Via Augusta, which used to pass the estate. 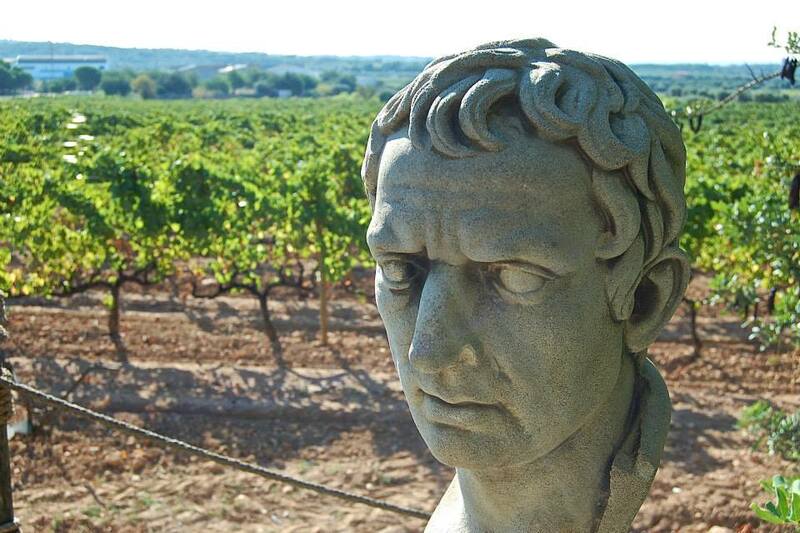 A vineyard with a long history, having in mind the remains of what was once the Via Augusta, the Roman road that connected Rome with the most important cities of the Mediterranean. 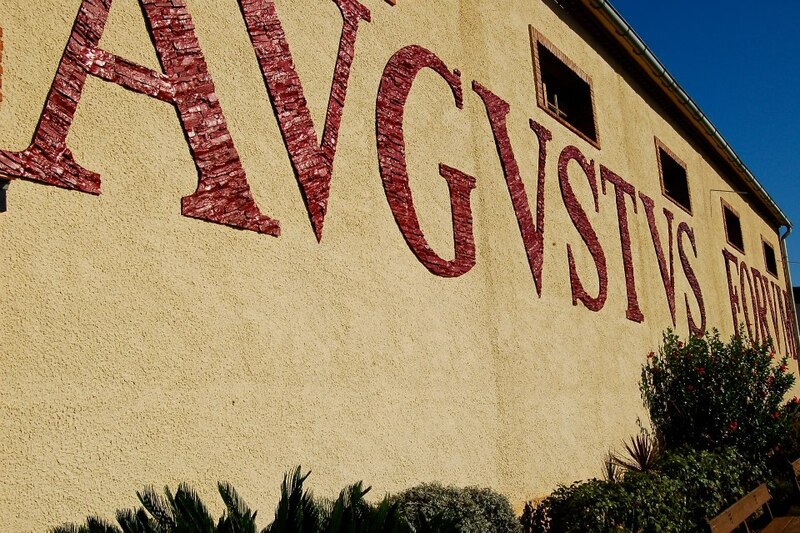 That’s why they wanted to pay tribute to this singular Roman road, giving the winery and their wines, the name of Avgvstvs. This charming winery was created in the 80s and rebuilt in 1990 with all the charm of times past. Driving into the estate gives a Tuscan feel, with pine trees lining the drive way, leading up to the main building. Inside the atmosphere of times gone by is still vey much breathing. This place is ideal for its rustic charm. It retains all the magic due to its rural setting and the rustic feel of the facilities. It’s an original, that will surprise visitors due to the spaces available and the quality of their services. When the first vines were planted in the 80’s, a unique place was chosen because of its “terroir”, just 3km from the Mediterranean Sea. That place was the Pla de Mar, where currently the vineyards enjoy a very special microclimate within the D.O. 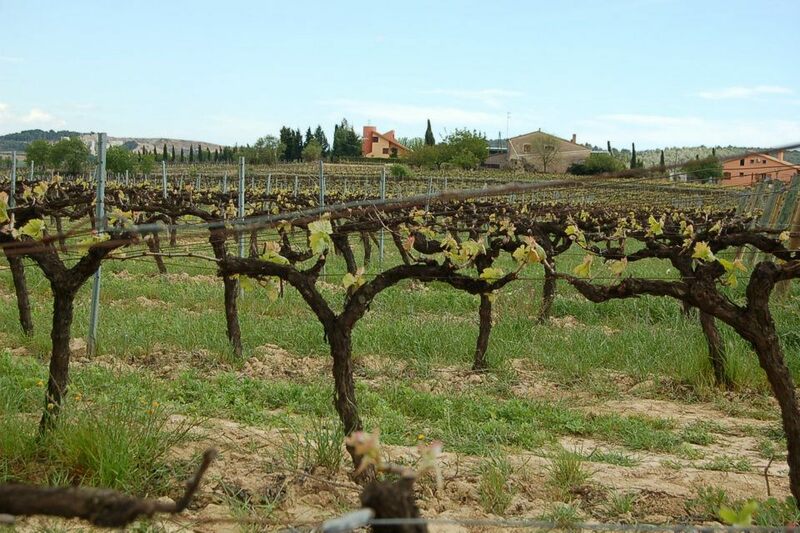 Penedès, fruit of the constant sea breeze, that brings in warm air from the sea preventing different illnesses and leading to a quicker maturing of the grapes. Noble variety grapes as Merlot, Cabernet Sauvignon, Cabernet Franc and Chardonnay have adapted perfectly to the microclimate and soil. Aged during 4 months in new French, Nevers, oak barrels of 300 liters. The color is slightly creamy, satiny bright pale yellow. Outstanding notes of ripe tropical fruit such as pineapple, papaya and a hint of banana. Some citrus along with some light toasted notes due to its elaboration in barrels.. The notes present are elegantly conjoined with some lactic characteristic touches of the complex development, which give it a nice creaminess and volume. Palate is rich, medium persistent and quite sweet. Ideal with cheeses, goat in sauce or grilled fish, seafood, foie and nuts. A not so pale white wine, it’s more to the slightly lemon to golden and grayish reflections. Bright, clean, and with visible density. The nose is very fresh and marked by its varietal character. It provides loads of ripe pear, almost candied, banana, and good creaminess gained from the aging process on it lees. In addition, there is slight minerality which makes the nose very refreshing. The entry is very fresh, with some silkiness. It passes the palate as a big wine would, with great flavors, and a medium-strong aftertaste. Pear Tarte Tatin with Creme Anglaise comes to min!. The retronasal passage is brimming with ripe pear sensations being transferred from the palate into the nose, with a background reminiscent of English cream cookies. An elegant organic wine that is silky with good minerality, which I have enjoyed over and over again, when it comes down to price/quality, this is a winner! This lovely wine is made of 100% Xarel·lo from vineyards grown by means of organic agriculture on the estate of Finca Parés Baltàm at 254 metres above sea level, within the prestigious D.O. Penedès. The fermentation of the must took place in stainless steel deposits at a controlled temperature. 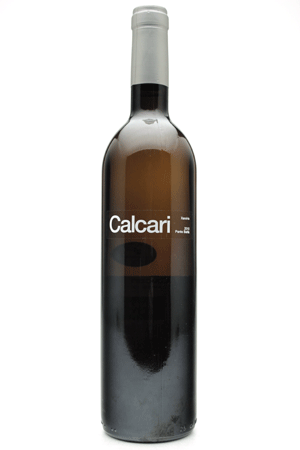 Parés Baltà Calcari 2012 was aged for 4 months in the same deposits, always on its lees. 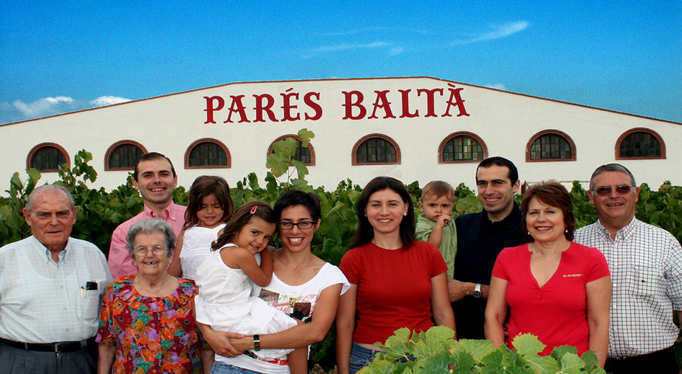 The Cusiné family, is owning and managing the Parés Baltà winery in Penedes. So many wines and Cavas, with so many different styles are produced here. It is almost like they wanted to do one wine per family member, so the wine could display the personality of each person. It is just like a New Orleans brass band! The display of wines is in fact so broad, as they also have vineyards in Priorat (Gratavinum) and Ribera del Duero (Dominio Romano), you could make do with visiting just this one winery and enjoy a spectrum of wines. 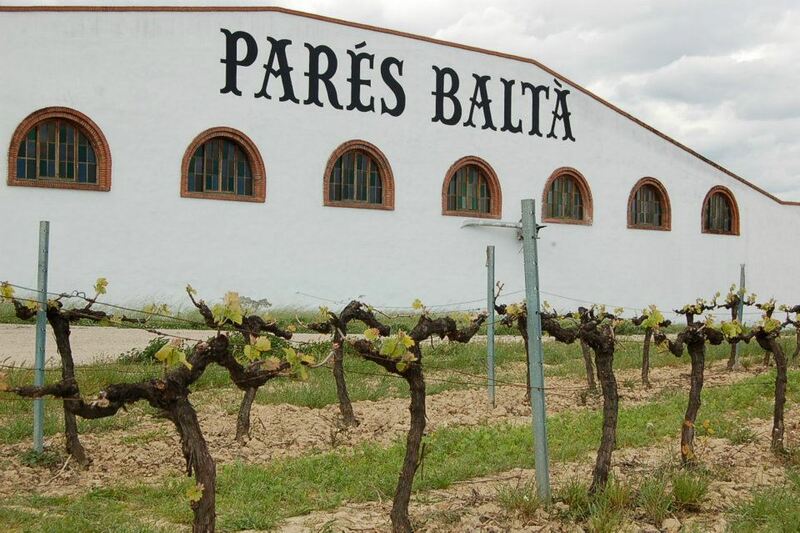 Parés Baltà is a family owned winery in the Penedès region with traditions that goes back to 1790. In the 70’s, the Cusiné family took over the winery which is now managed by the 3rd generation. They produce high quality wines and Cava. 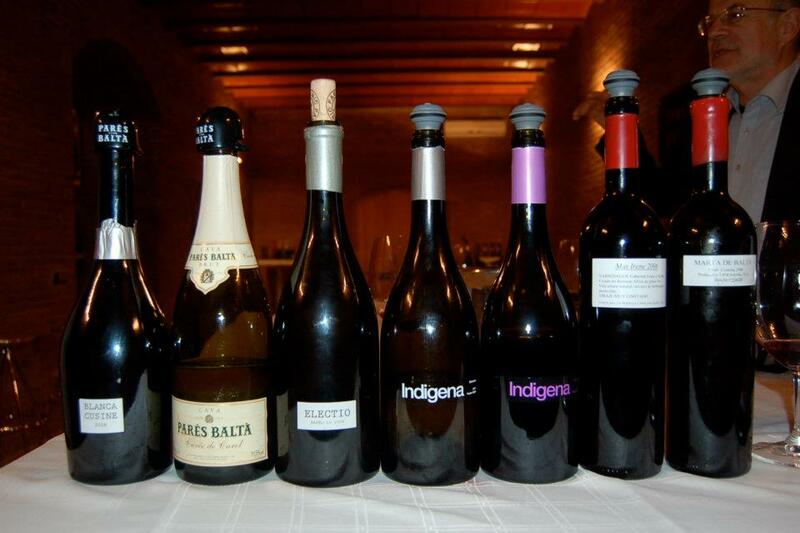 The grapes come from 5 diffrent estates, situated around the winery and in the mountains of the Penedès. The altitude varies from 170 to 750 metres and offers a diverse mixture of soils and micro-climates, which off course, is also a reason for the multitude of styles in their wines. The practice of organic viticulture has always been a model they have tried to pursue and done so since 2004. They use sheep, their own, to fertilize the vineyards and bees to help with the pollination of the vines. It is, so to say, a complete ecosystem that is at work and it shows in the quality of the grapes. This is very Mediterranean, but the way it used to be. Old style! The wine-making tradition here at Pares Balta is rooted but not stale. Fresh and new ideas are constantly developed and it is very exploratory. The management is led by Joan and Josep Cusiné Carol who, together, guide the company into a new era of high quality wine production, with the unconditional help of their father Joan Cusiné Cusiné. 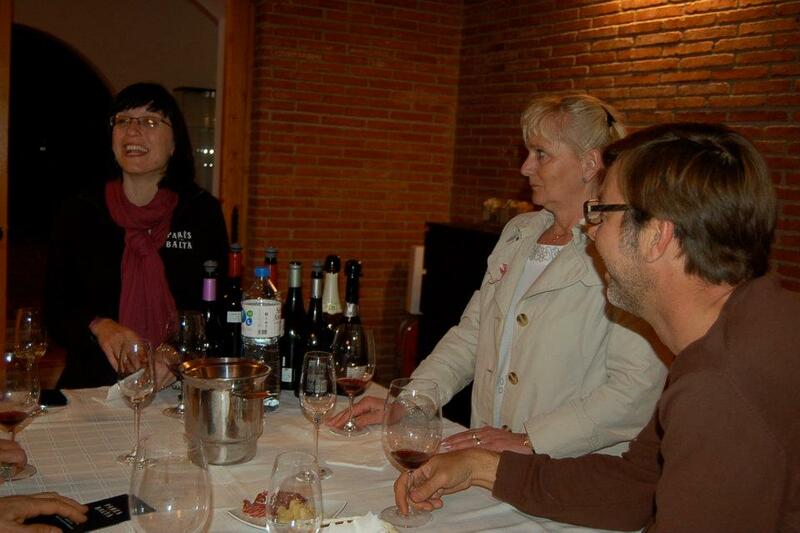 The wine-making is in the hands of Maria Elena Jimenez and Marta Casas, enologists and wives of Joan and Josep. Two skilled young women whose efforts are reflected in the quality of the wines that are produced at Parés Baltà; showing fine character and concentration yet with elegance and balance. The roots of Parés Baltà goes all the way back to the 18th century. In 1790 the first vines were planted on the estate that now surrounds the winery. Today however, more than 220 years later, almost everything is different. Joan Cusiné Hill took over the winery in 1978. Born in 1917 in Bellvei del Penedés, coming from a family of vine growers and, already from the age of seven, he helped his father to cultivate the vineyards and never stopped working. At 80 years old he even helped his grandsons to care for a part of the vineyard. 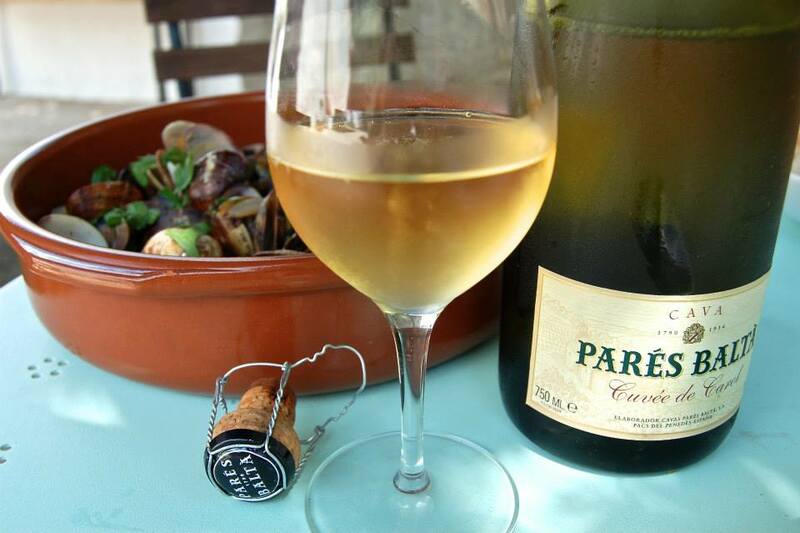 His son Joan Cusine Cusine started to manage Pares Baltà in the eighties and released its first still white wine, “Blanc de Pacs” which is still produced today. At the end of the eighties the first red wine from the company was produced, and since then he has enthusiastically been attempting anything that could raise the quality of the wines. Since 2000 the management has been in the hands of the two grandsons, Joan and Josep Cusiné Carol. They have brought new and fresh ideas into the company, but have also shown respect for its tradition and guarded the heritage. The wives of Joan and Josep, Maria Elena Jimenez and Marta Casas are the winemakers and oenologists. They have continued to develop new wines and increased the focus on quality. Mas Petit (the small farm) is a rich red wine made with 100% Cabernet Sauvignon and aged in Alleirs Oak for an extended period. Mas Pons has gotten award after award at different competitions and is an oak aged 100% Chardonnay. Blanc de Pacs is a still white wine made from the three classic Cava grapes, Macabeo, Xarel.lo, and Parellada. Honeymoon. I love this wine, and I think it’s a case of love or hate, but try iy you must!. One of very few 100% Parellada wines. 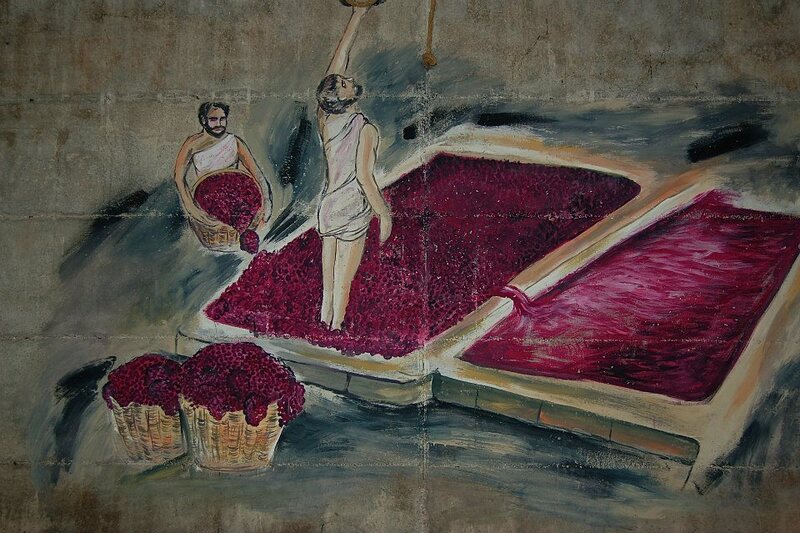 Ros de Pacs is a rose wine made with Cabernet Sauvignon and Merlot. Mas Irene, red wine with an extremely limited production of 33,000 bottles. Merlot and Cab Sauv, long ageing, extremely complex wine. Mas de Carol is a boutique white wine, made with 100% premium Chardonnay grapes and aged in French oak. Less than 10,000 bottles made annually. For their still wines they have three different “series” – The Microcuvees, The Origen “series’ and the R-Evolution. In the latter, two reds and two white wines are part of that constellation, and one of the reds, the Mas Elena is tasted today! Mas Elena has an intense dark red color with subtle blue highlights. Clean and bright. The nose perceives red fruit tinged with spicy notes, hints of licorice and cocoa and lightly toasted. 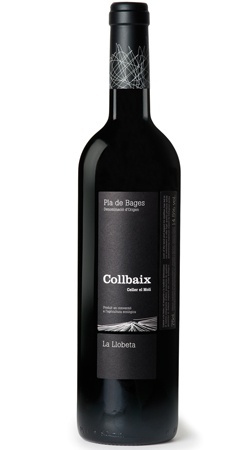 A really tasty red from Parés Baltà, that won’t make much of a dent in your purse. The wine fills the mouth with a fleshy and fresh feeling. The oak is present but just slightly. Step silky, full of creaminess. Polished tannins. Very good ending. …., cause if I hold your hand, baby, you’ll understand…., understand why you should try out Pla de Bages! 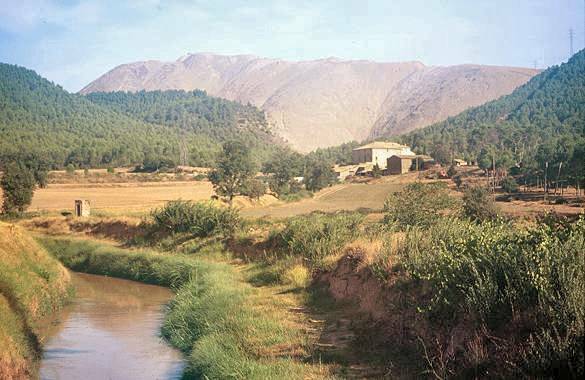 The Pla de Bages is a fertile plain located in an area of mythical mountainous landscapes such as Montserrat, the mountains of Castelltallat, the Nature Reserve of Sant Llorenç del Munt y l’Obac and the massif of El Montcau. The region, which has an increasingly broad range of leisure and gastronomic activities, has important tourist and cultural attractions, such as the Monastery of Sant Benet de Bages, the salt mines of Cardona, the cave of Sant Ignasi in Manresa and the route of the Acequia, running alongside a medieval canal. It is common to find ancient wine tubs and vineyard huts made of stone. The huts were used by peasants, who often had to stay all day long in the country side, to store agricultural tools and to protect themselves from inclement weather. Around 4.000 huts still survive in very good condition, most of which were built coinciding with the great expansion of vineyards in the region. Don’t drive me insane, just hold my hand as we visit Pla de Bages together! 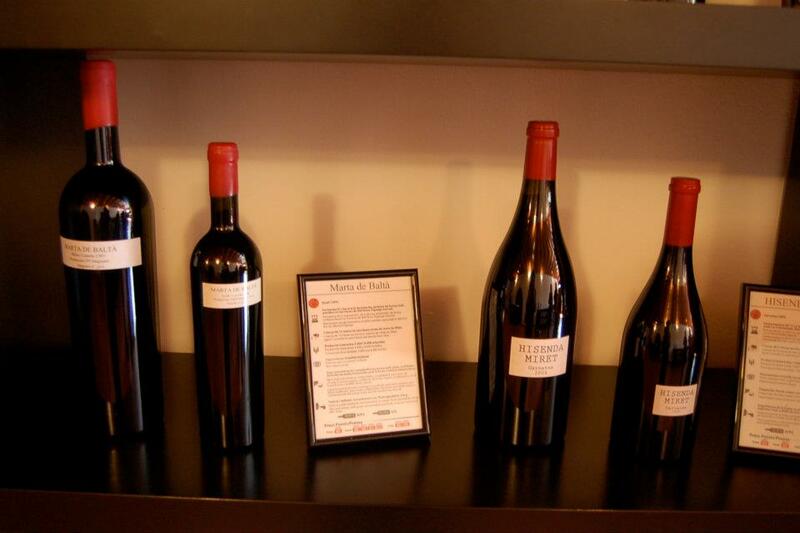 The El Moli Cellar cultivates two plantations in the El Bages county. 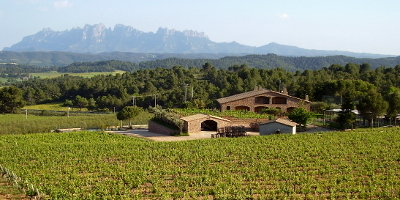 One of them, which gave the cellars its name, is the El Molí plantation, located in a spot facing the Montserrat mountain range and at the foot of the Collbaix hill. The other is in Plans de la Casa Nova, in Monistrolet de Rajadell. In these two plantations of the D.O. Pla de Bages they cultivate organic wine and olive trees to create top quality wines and oil, and in doing so there is a great respect towards the natural surroundings in which they find themselves. 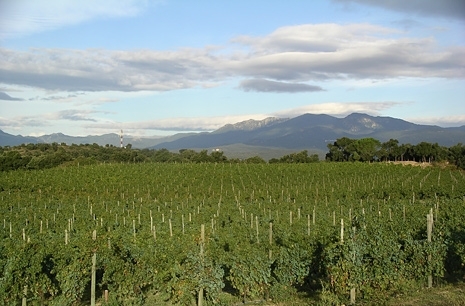 The county’s exceptional microclimate is ideal for the cultivation of vines and olive trees. In El Pla de Bages they enjoy a Mediterranean climate, with scarcely any rain and quite an acute annual temperature fluctuation. The land is mainly made up of loam/clay soils. 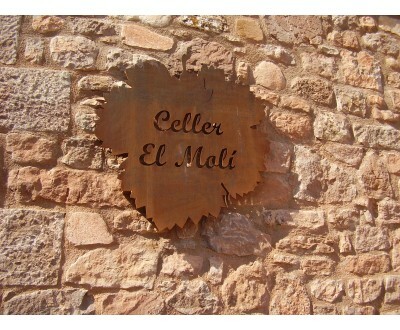 Celler el Molí keeps a perfect balance between tradition and modernity. It blends in with its surroundings and it has been designed to stay faithful to their commitment to quality organic production. Therefore, the facilities are equipped with a cold store, a grape sorting table, temperature control both in the cellar and in the maturing area. All this allows them to make the most of current technologies and use innovation to maintain tradition. Wine of high intensity colour, ruby red with violet touches. Accentuated tear. Intense, fresh and sugar-coated wild berries, with fig and dry apricot and balsamic touches. Complex, well integrated. 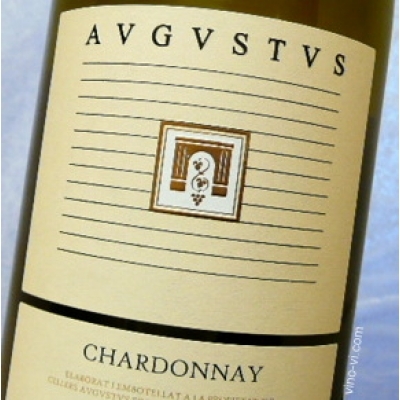 Good entry, wide and fresh, with a persistent and long after taste. 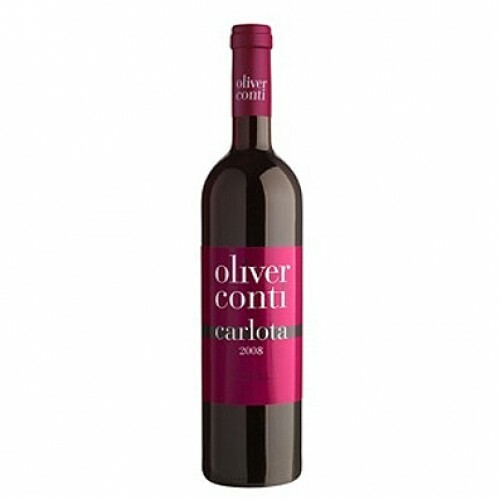 Carlota is the name of the eldest daughter of Jordi Oliver and is also the name of one of their vineyards. With this wine they want to show the elegance of the Cabernet Franc grown here, adding 25% of Cabernet Sauvignon for that extra bit of structure and tannins, while retaining the personality. Intense cherry colour with garnet rim. Fluid and regular tears. On the nose, there’s a medium presence of forest fruits with sweet spices, caramel toffee, lacquer, flowering rosemary and balsamic background. The palate is fleshy, fruity, frank and fresh, well integrated and there are slight notes of cinnamon and nutmeg. Background of red jam and cocoa. Rich tannins and fresh acidity with some vegetal notes. The Oliver Conti dream started In 1991, a dream with a glow. A dream made of the Tramontana wind and hope. 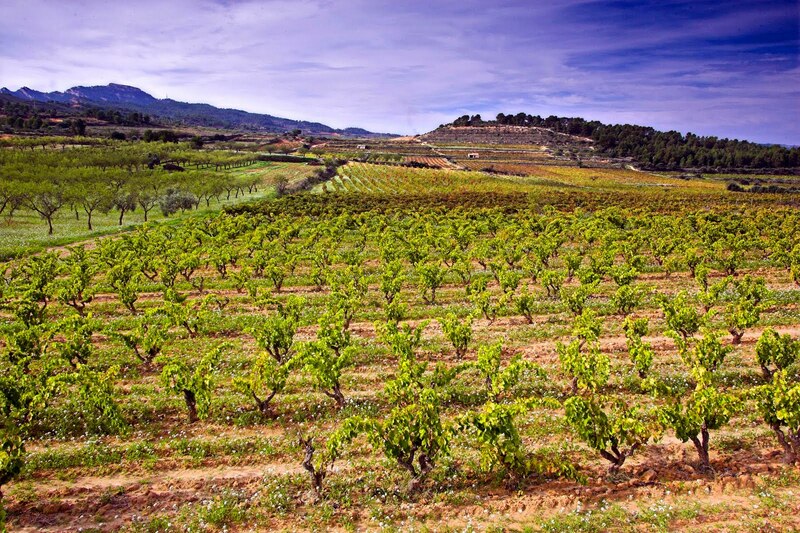 They choose the Empordà region because the soils and climate could give them the fruits they desired. 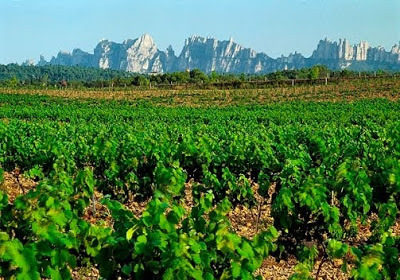 On the slopes of the Alberes mountain range, granitic soils poor in organic life, 15 hectares of vines were plante with the varietals that would allow them to produce high quality, fruity and elegant wines. As time went by, the dream has become a reality and the Emporda region has developed as a coveted appelation, desired for the undeniable quality of its wines. 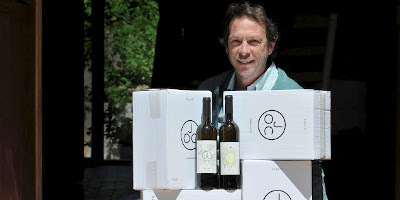 André Crespy, Professor and Doctor in Agronomy at Montpellier University, helped the Olive Conti project during the first years with his obsession to obtain the highest quality grapes. Nowadays Pepe Hidalgo, Agronomist Engineer and Ana Martin, Oenologist, are pushing them to reach the highest level of quality in the wine making process. The vineyards has always gone together with two obsessions: aroma and elegance. Discovering that aromas can give so much satisfaction, made them work harder to keep them all along the process of harvesting, fermentation and aging. As a result, when opening a bottle of Oliver Conti, the agreeable and fulfilling sensations help to enjoy such extraordinary wines. Jordi Oliver Conto and his new project JOC. Launching wines in the higher quality/price range! The second obsession is elegance, creating long lasting wines with a round and velvety mouth that leave extraordinary agreeable sensations and an endurable aftertaste. Wines that don’t satiate and that the second glass is better than the first and you enjoy the third better than the second. Wines to go along with food and not just for tasting. The Upper Ampurdan offers ideal conditions for obtaining vines of high quality, thanks to its Mediterranean climate and the protection of the Alberes mountains. Until the arrival of the Oliver Conti vintners, this was a relatively unknown zone for vine growing, as the region was more oriented toward massive plantations destined for undistinguished table wines. 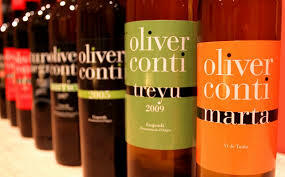 At Oliver Conti, research has been continuous and of inestimable help in achieving their objectives. …., when I’m with you it doesn’t mater where we are, just as long we are in Catalonia, enjoying wine! 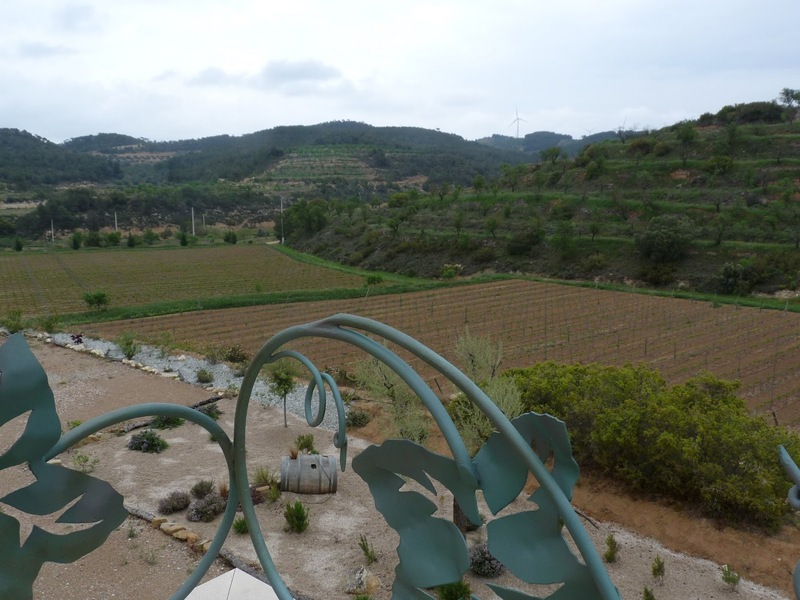 Once more we wander to the highlands of Catalonia, the Terra Alta appellation, a region every wine lover should know by now! Don’t miss out on great wines from a very small and secluded region, sometimes overlooked because of the vicinity to the Priorat and Montsant! Bernavi has evolved from the restlessness of three young viticulturalists and their passion for the enchanting world of vineyards and wine making: Marco Bernava his partner Ruth Fullat Sisteré, and brother Gino Bernava. 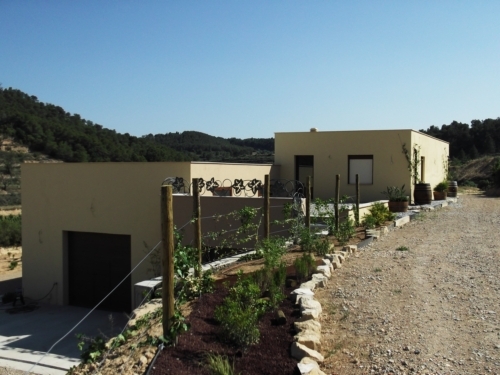 Their Italo-Catalan project started in 2007, choosing a personal and familiar setting in “Terra Alta”, a D.O. within the Tarragona district. This has resulted in the restoration of a traditional vineyard, the planting of thousands of new vines and the completion of a modern winery in 2011. The history of “Mas Vernet”, dates back to 1694, and is rooted in the north of Vilalba dels Arcs along the “Camí de Berrús” which reaches up to the Ebro River valley: here Bernavi cultivates its vines and makes wine exclusively from their own grapes “interpreting the terroir“. The location of Bernavi project was carefully selected for the peculiar potential of the region, recognized by the three winemakers. They are in a pre-coastal, area where the Mediterranean climate meets the Spanish highlands: here the high temperature variation between day and night during the summer promotes good grape maturation. Climate conditions of this area also allow a style of production that totally respects and enhances the environment. The limestone quaternary soils present quite extreme and fascinating conditions. 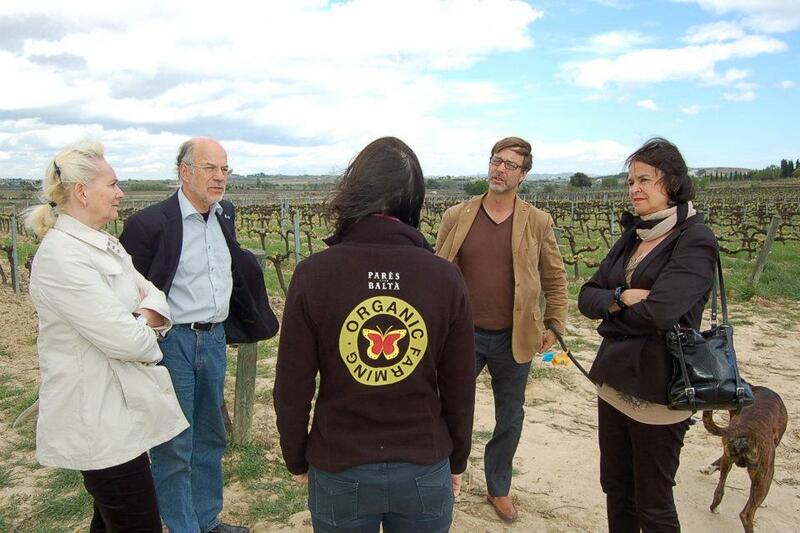 In this land of Catalonia, Bernavi decided to look for synergies between the climate and soil varieties as well as agronomic and oenological techniques to characterize the quality of its produce. The native varieties of Garnatxa Blanca and Morenillo, together with typical Garnatxa Negra, assimilate with international varieties to be grown and processed so that “this interpretation of the terroir” can be tasted and enjoyed in the Bernavi wines. 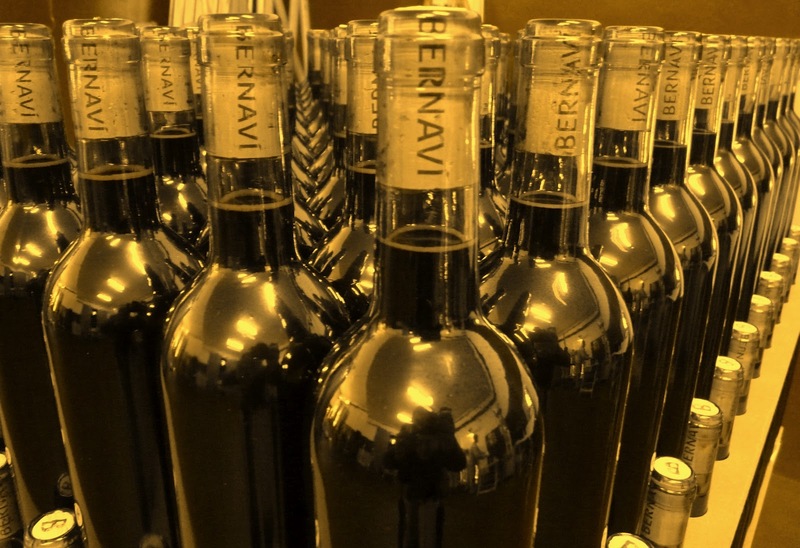 Bernavi wants to instill their own formula, processing quality and always respecting the pleasure of matching food and wine: they want to have standout wines, made for scouring tasters searching for some authenticity. The state of the art winery bottled its product line at the end of March 2011: a white wine, a rosé and a young red wine. A white wine from a 65 year old vineyard of Garnatxa blanca, proudly Mediterranean and mature in all aspects, meets a young and fresh Viognier. A rose from a fully structured Garnatxa negra creates an inviting and delicious wine. Last but not least, the blend of Garnatxa negra, Syrah and Merlot produced with uniquely different techniques creates a young red wine with character. The winery continues to pursue the evolution of its wines aged in French and Slavonian 3000 liter oak barrels, another unique interpretation of the three winemakers. In these barrels, Cabernets and Morenillo focus the results of human and natural inputs of the Bernavi philosophy: “interpreting the terroir.” Welcome to my world, where I daily discover amazing and authentic wines! 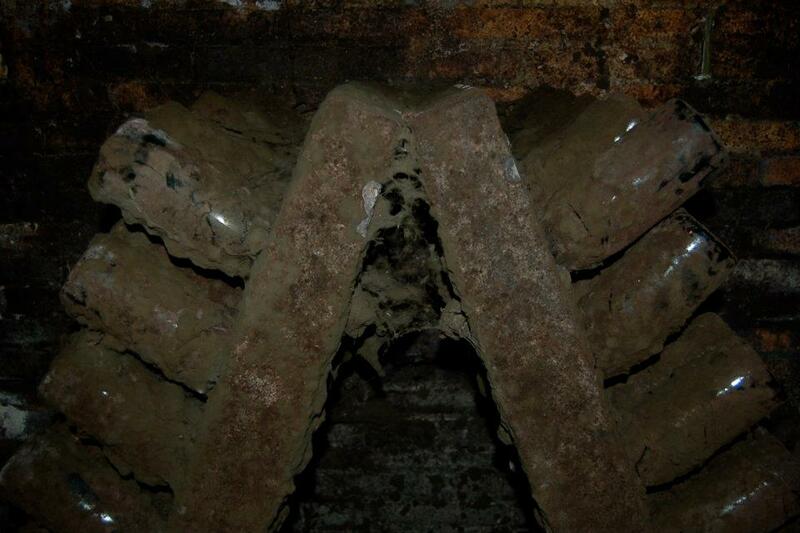 The wine has been aged for 9 months in Croatian and French oak barrels of 3.000 liters. The color is deep red purple, intense and opaque. Varietal notes of pepper, blackberry and spices (white pepper) harmonized with the fine toasted oak. Vegetable notes, some fruity aromas and hardwood/oak. The entry into the mouth is powerful and harmonious at the same time. During tasting, body and persistence recall and highlight the range of smells, persistent and changeable. A powerful, deep and tasty red, which is to be enjoyed with food. A creamy risotto to give homage to the Italians in Terra Alta!